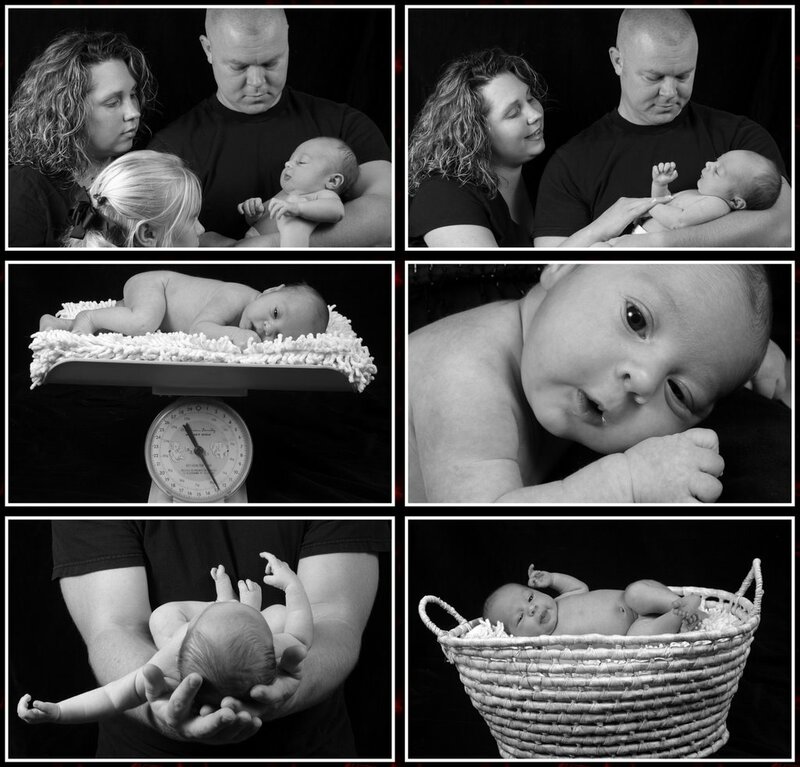 Photographing Weddings, Seniors, children, families, babies, pets. sports. Due to the sudden loss of my father. I havent been on and need to take some time out. It was unexpected. But I know he was a christian and is in a much better place than we are. But its going to take me a bit to say goodbye. Will try and stop by in a few days. Yep I took this comming weekend off to go with my husband and son to a high school rodeo at Poplar Bluff, MO . We love going with him to the high school rodeos. Yes I know its crazy but hes a bull rider and he loves it. But its fun. We meet lots of other parents from all over MO and camp out all weekend with them and their high school kids. Maybe I can get some pics to show you from the weekend. I have the Canon 5D camera now and i want to try it out this weekend. So if I have time with working on wedding albums while im there i will get pics of my bullriding son and some of his friends. Thank you so much for letting me have so much fun with them when we did this shoot. 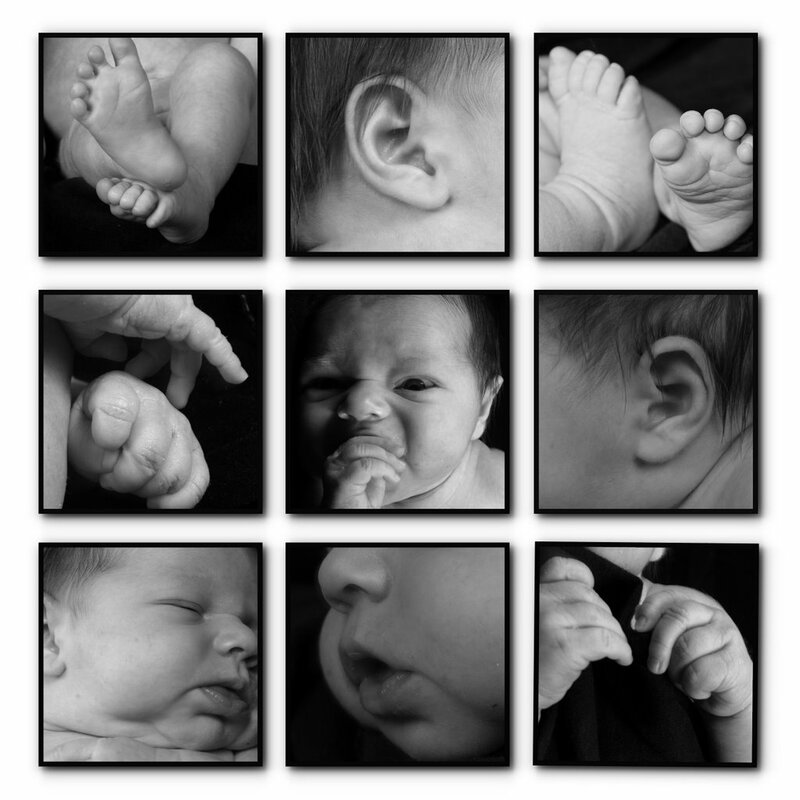 Will have more pics coming of these two beautiful baby girls. Here yet is another beautiful wedding that I was lucky enough to be the photographer for. Mike and Karry were a gift to work with. Another couple so truly in love. I have the best job in the world getting to capture the love of so many beautiful couples and sharing their special day. Such a beautiful outdoor wedding this was. It was hot as it was in August but it was late afternoon so that helped. But it was beautiful and the weather was great. Thank you so much Ali and Garrett for letting me be a part of your very special day. I wish you both all the happiness in the world. Hey guess what I do get time to play with my camera too. Went to a roping with my husband and my two boys, who were roping at it, So i played with getting action shots of them. I first started out over 15 yrs ago while in college and first married taking action shots at rodeos etc. 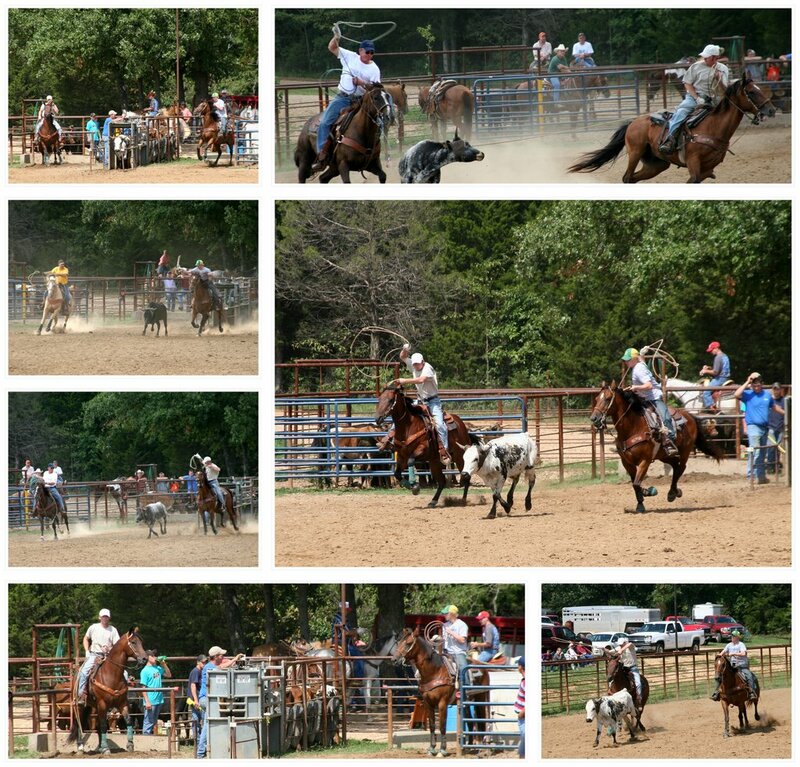 so here are a few from the roping labor day 06. It was fun to just play too. Although thats what im doing all the time. lol I love taking pics. so to me its always playing. 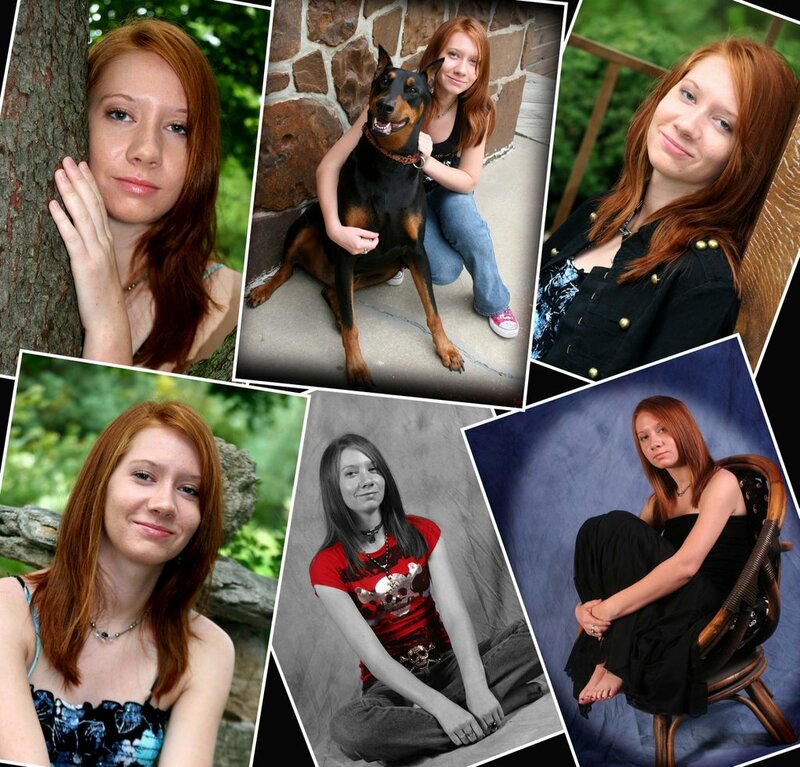 This is a senior I did in Springfield, MO. Hey Jaci had a blast. 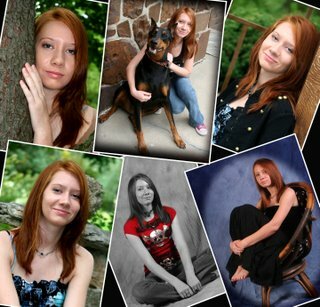 Thanks for having me do your senior pics. Isnt that red hair georgous. I love it. She was alot of fun. We went to the Japenese Stroll Garden there in Springfield and then finished up at her house to do the indoor pics and some outdoors with her dog. Hey I might finally be able to catch up. who knows. 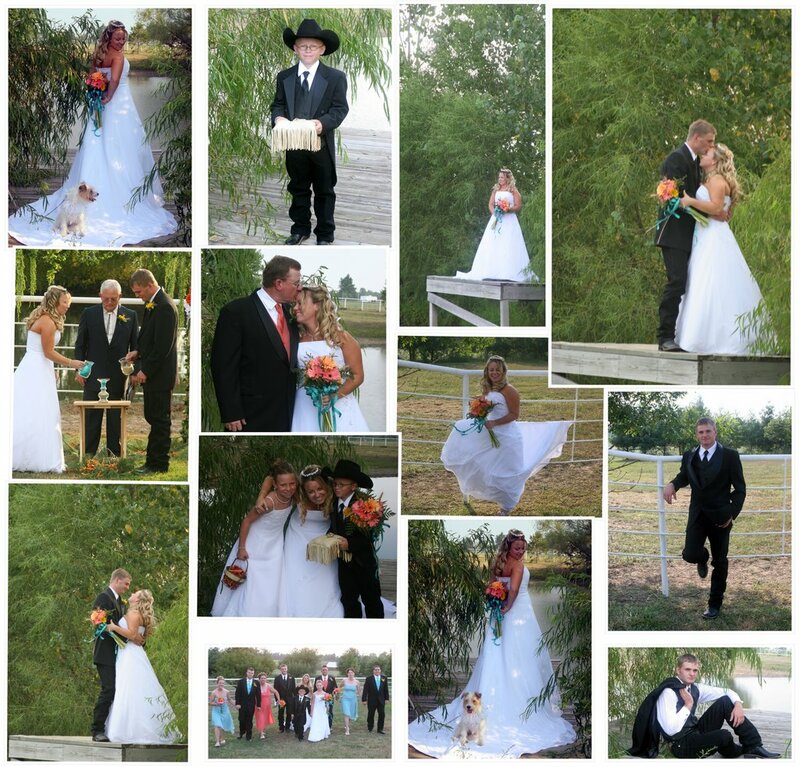 I have some collages to add of some weddings I did this summer. This is Zach & Kristy's wedding. I did it in May. I know I know. just getting it up. But the whole group as you can tell was a blast to work with. They wanted to do all the fun stuff. And look at the little cutie on the grooms lap. Thats none other than his daughter. Isnt she just the cutest. I sure hope i get to do some more pics of her. Hint Hint mom. lol Anyway Zach and Kristy congratulations and good luck on a very long life together. Also im thinking about doing the weddings in more of a documentary style so as to capture the whole story of the day. Now this doesnt mean we cant do the traditional formal poses too. We will always do the pictures that you request. I just think the documentary will fit my style very well and I can get a truly beautiful story to tell of your very special day captured in wonderful images. 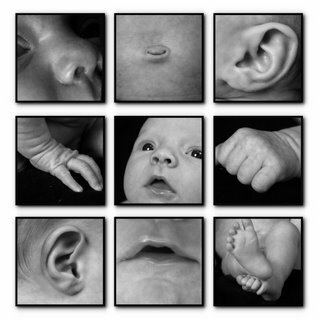 Just got in from two great days at the Missouri Professional Photographers Seminar. It was awesome. The speakers were fantastic. Got to hubbub with other photographers from all over the state and even Idaho and Illinois was represented. Brought home some really good ideas for weddings, and ideas for senior pics too. So look out those seniors that I have scheduled in the future. Im full of lots of ideas and can't wait to use them. Also learned some other techy stuff I want to try too. I love people. I love to capture them with my camera, their personalities, lives, special moments.